What's New? - A Farewell to the Memphis Man. Why I Love Vinyl Records Part 3. The Capris long road to #3. Wanda Jackson - Rockabilly Queen. The Yardbirds and their famous guitarists. 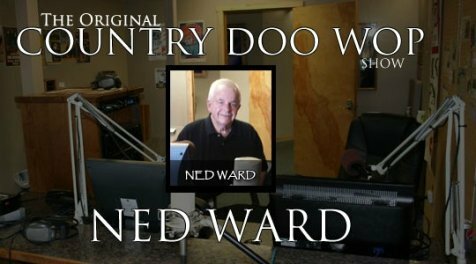 The Original Country Doo Wop Show with Ned Ward. 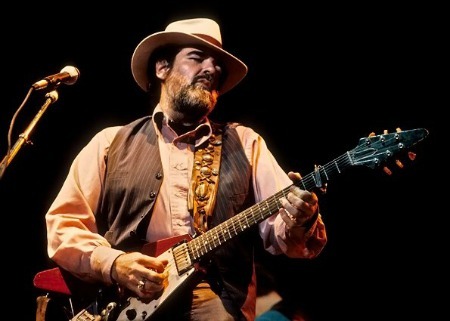 In the February newsletter article titled "Gone but not Forgotten" the list included the death of blues-rock guitar legend, Lonnie Mack. Shortly thereafter I received emails requesting more background information on one of the great guitarists of our time. I contacted Randy McNutt, an independent record producer and freelance writer and asked for his help. He pointed me to an article he wrote a few days after Lonnie's death in 2016. It is a wonderfully written tribute to his friend, Lonnie Mack. If you are a fan who grew up in the Cincinnati music era and remember the blues-rock sound of the Memphis Man, this is a must read. Do not overlook this sincere tribute to Lonnie Mack by Randy McNutt. Why I Love Vinyl Records, Part 3. 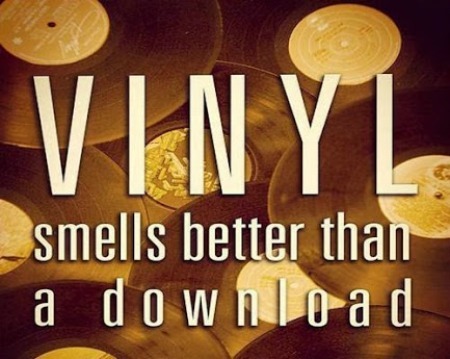 Digital is Dying and Vinyl makes a comback. There are two things I know: diamonds are forever and music is timeless. American writer, Kurt Vonnegut said that the only proof he needed for the existence of God was music. And my thinking is...If there are no turntables in heaven, I Ain't going! Vinyl records are the original format in which music was produced. There is a certain romanticism to listening to a vinyl record that other formats just can’t provide. Since the days of the gramophone record, the list of audio formats is, in a word, lengthy. First came the 78-rpm record, followed by the LP and 45-rpm record. Reel to Reel tape recorders were once a great way to play music hours on end. Although I loved them, 8-track tapes never had a chance. The small cassette tapes came and went. Death of the Compact Disc & Digital Downloads. Compact discs changed the market when they were introduced in the early 1980’s, making every other media format obsolete. Experts predicted, however, that the compact disc would soon be an afterthought with the surge of digital downloads, and they were right. The digital download, ushered in to the mass market more than a decade ago (2003) by Apple’s iTunes music store, is in rapid decline as people shift to streaming services such as Spotify (2006) and Apple Music (2015). Streaming’s advantages are that you can listen to any of millions of tracks whenever you like, and create playlists; paying subscribers can also download individual tracks for offline listening. The disadvantage: if you stop paying the monthly fee, the access, playlists and downloads evaporate. By contrast, a purchased download lasts forever – but it’s the only thing you can listen to. Some music experts have now predicted the digital download may disappear entirely over the next few years as it has become redundant. Streaming and the Vinyl Resurgence. The trend towards streaming – which has rocketed 500% since 2013, with 45 billion audio streams over 2016 – has led people back to vinyl as a way of tangibly owning music and because streaming had encouraged music discovery. Sales of vinyl in 2016 reached a 25-year high as consumers young and old have once again embraced physical formats of music. A major reason for this trend - Crappy CD's. Compact discs allowed artists to cram as much music as possible into one disc, and sometimes led to songs that were just album fillers. On an LP, however, you can only have about 45 minutes of audio. It better be good. Beautiful Vinyl artwork is an added bonus. In my perfect world, everyone would own a turntable. Compact discs, digital downloads and streaming would cease to exist, and record labels would only produce vinyl. Music lovers would go to their favorite record store, spend hours hanging out with friends and discussing their favorite albums. Everyone would feel fuzzy and warm inside. Especially me. The Capris Doo Wop group formed in 1958. All of the original members were Italian Americans from the borough of Queens in New York. Started by first tenor Mike Mincieli, the group included Nick Santo (Santmaria) lead baritone, second tenor Frank Reina, baritone Vinnie Narcardo, and bass John Cassese. 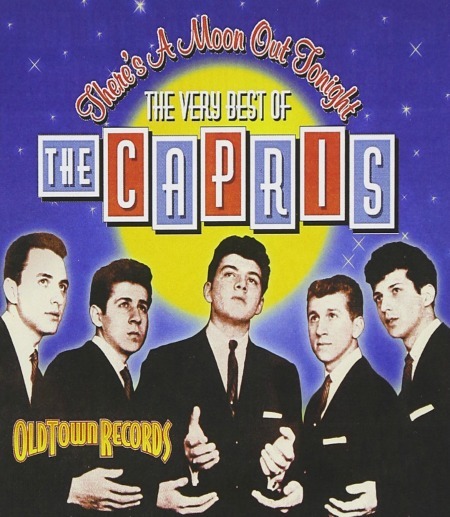 In 1959, The Capris recorded two songs, "Indian Girl," and "There's a Moon Out Tonight." The record was released by a local New York City label called "Planet." When the record failed to sell, they disbanded and went their separate ways. Without the proper means to promote the single, copies were left on the junk pile, so to speak. But in 1960 a copy came to the attention of a late night DJ who played it on his show. The song was heard by Jerry Greene, an employee of the Times Square Record Store. Greene purchased the master and re-issued the record on "Lost Nite" Records. Disc jockey "Murray the K" of the WINS/1010 all-night-show played the song often and sales picked up. Realizing that their manufacturing and distribution capacity could not meet the demands of a hit record, "Lost Nite" sold their interest to Old Town Records, which had the capacity to meet the needs of this promising hit song. In 1961, "There's a Moon Out Tonight," after a long trip around the record label block, became a #3 national hit. Most copies were sold on the Old Town record label and are worth up to $50.00. However, an original copy on "Planet" records can sell for $1500.00 today. 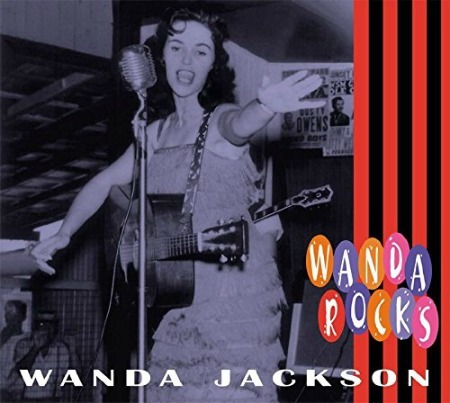 Wanda Jackson & The Rock-n-Roll Hall of Fame. Why so late? What’s wrong with the Rock and Roll Hall of Fame? Connie Francis isn't in it and Wanda Jackson didn't make it in until 2009. It's a major headscratcher that their work has flown just under the Hall of Fame radar for so long. She is the Queen of Rockabilly whose 1960 classic “Let’s Have a Party” is a perfect example of her unique, raspy voice. She's a one of a kind rock and roll spitfire, a voice as distinctive as Howlin' Wolf's and every bit the force of nature that he was. The female wildcat is often referred to as "the female Elvis." Wanda was a '50s Rock 'N' Roll dynamo that may not have had Elvis' fame, but she sure did have his fire! Don't call her diva, call her Miss Jackson, the wildest kitten in Rock history! Wanda's induction in 2009 as an "Early Influence" may have helped to increase the price of her early albums. Her debut album “Wanda Jackson,” released on Capitol records from 1958, is worth up to $450.00 today. Her 1961 album “There’s a Party Goin’ On” can sell for $500.00. 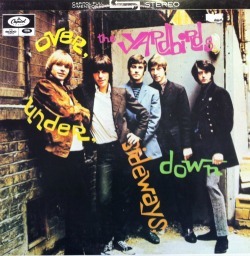 The Yardbirds - Greatest Guitar players in one band. Rolling Stone magazine’s list of the top 100 guitarists ranks Eric Clapton at #2, Jimmy Page at #3, and Jeff Beck at #5. Clapton joined the group in 1963 and left in 1965, but not before he recommended Jimmy Page, a prominent young studio session guitarist, as his replacement. Page in turn recommended his friend Jeff Beck as lead guitarist. Page and Beck played with The Yardbirds until 1968. 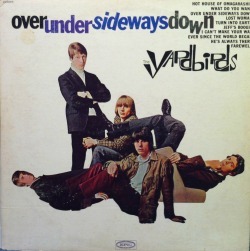 The “Over, Under, Sideways, Down” album, released on Epic records in 1966, is worth up to $40.00 in stereo and up to $100.00 in mono. However, the Canadian issue (as seen on the right) released in 1965 on Capitol records can get you $500.00 today. Growing up in the fifties many of us fondly recall "The Howdy Doody Show" and Clarabelle the Clown. There were three Clarabelles during the show’s run including Bob Keeshan who would later find more fame as Captain Kangaroo. The last to play Clarabelle was Lew Anderson. Host, Buffalo Bob, said Lew was the best at entertaining the kids in the Peanut Gallery. Anderson was also a Jazz musician. 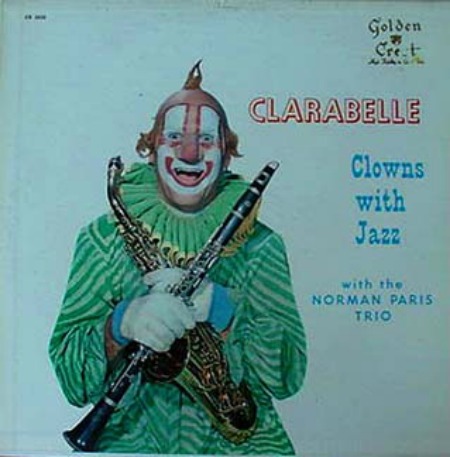 His album “Clarabelle Clowns with Jazz,” released on Golden Crest records in 1957, is worth up to $300.00 today.